The right tires not only help contribute to your vehicle's handling and performance, but can also impact fuel efficiency and safety as well. 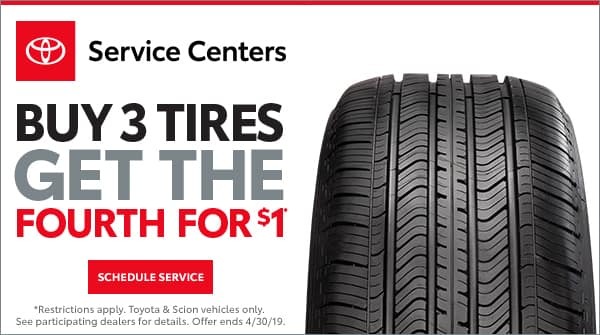 If your tires are showing signs of wear, you can get exact replacements for the original tires at a competitive price at Balise Toyota of Warwick Service Center. Our factory trained and certified Toyota technicians will ensure that your tires are mounted, balanced and inflated to match your Toyota vehicle's specifications. 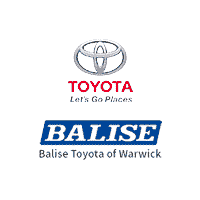 Keep your Toyota a Toyota by replacing your original tires at Balise Toyota of Warwick Service Center conveniently located in Warwick. Not all vehicles qualify. Additional factory services may be required or recommended. A shop supply fee in the amount of 11% of parts and labor, not to exceed $24.88, will be an additional charge on the invoice. See a service consultant for additional details and final pricing. Sales tax not included. 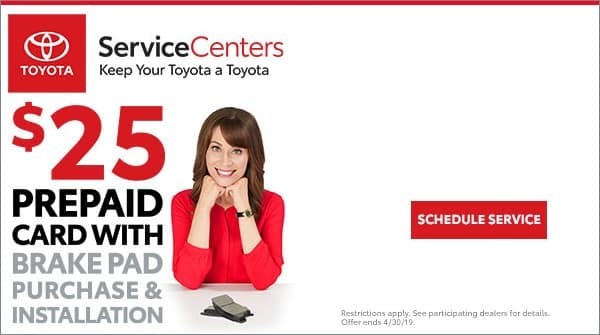 Valid only at Balise Toyota of Warwick.